The West Australian government has put South Australia on notice, publicly declaring its new advocacy office, Defence West, will be charged with fighting for some of the shipbuilding work promised to SA. 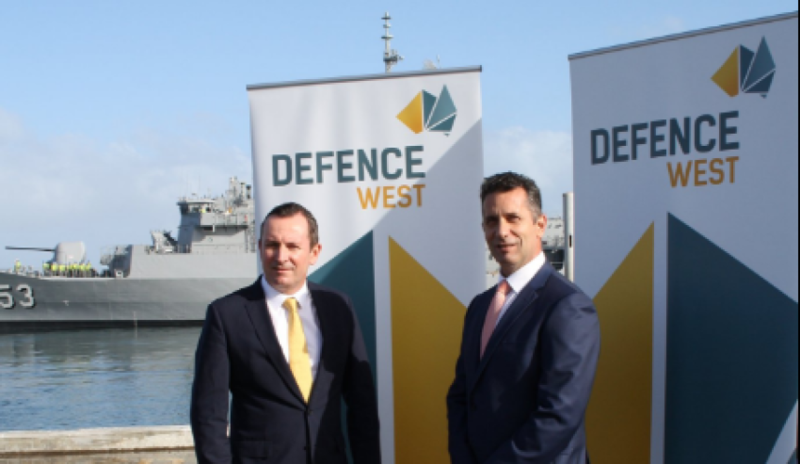 At the launch of the Defence West last week, Minister for Defence Issues Paul Papalia said "it's not done and dusted", adding "there is plenty of opportunity to influence decisions down the track as to where the actual construction takes place". Minister Papalia and WA Premier Mark McGowan have called on the federal government to reverse some of their decisions, citing the state's navy base and infrastructure build as key reasons to commit to WA instead of SA. "More than half the Navy based here in Western Australia at HMAS Stirling, we have the SAS, and the like, but in particular the Navy base should have meant that major shipbuilding was undertaken here in Western Australia," Premier McGowan said. "We’ll be arguing, using Defence West and the defence advocate, for additional shipbuilding, for additional work in Western Australia because we need it and we’re the right place to get it done." The WA government has previously blamed the state's current share of shipbuilding work on the previous Liberal state government and have called on the West Australian federal Liberal ministers to stand up for the state and its capabilities. "Where is Julie Bishop? Where is Mathias Cormann? Where is Christian Porter and Ken Wyatt? Where are all these ministers that are in the federal government, and why aren't we getting a fair share in Western Australia?" Minister Papalia said at a previous press conference. "We're promised 10 of 12 offshore patrol vessels, they're gonna start building them in South Australia, and this is a $3 billion project. They're going to start building them in SA. Who thinks, that after the next federal election, they will up stumps and shift all of that to Western Australia? Who is absolutely confident that that will happen? I'm sceptical." Currently, SA has been promised it will be the build site of 12 Future Submarines, a $50 billion project, along with nine Future Frigates, a $35 billion project, and two of 12 Offshore Patrol Vessels, a $3 billion project. WA is slated to build the remaining 10 of the Offshore Patrol Vessels when South Australia starts work on the Future Frigates.